Set expectations and get clarity by preparing your questions for event venues, sponsors and suppliers. We spoke with planners and agency pros to find out the questions you should be asking–beyond what you might expect. Don’t sign a contract with a venue until you’ve searched every closet for a skeleton! Download our free event venue question checklist, which outlines the primary topics you should cover to protect yourself and head off any surprises at the pass. How many people can use the wifi all at once? How many devices can access it? Is there a charge for users who use wifi on multiple devices? What are you looking to accomplish at this event? What are your goals? What action do you expect from the attendees? How would you like your brand to be portrayed at the event? How will you assist in marketing the event to your network, and what is the size of your audience? Sponsor relationships are partnerships with mutual benefit, and you’ll be happiest if you keep the balance even. There’s never been a better time to closely manage everyone’s expectations by being forthright and asking plenty of questions. Build lasting relationships with sponsors through open communication, expectation-setting and compelling sponsor packages. What are your cancellation and payment policies? Does the price include in assistance with setup/installation or is it just delivery? Who do I contact in case of an emergency after business hours? Who will be my contact on site? Do you have back-up equipment in the event something happens? Asking your venue, sponsors and suppliers more questions early on and throughout the relationship will pay off. You can’t expect them to volunteer all the information you’ll need, and when the doors open you’ll feel safer with a record of your concerns. If you’re researching several venues you might create a web survey with a tool like Surveymonkey. This way you can easily compare responses, make sure you don’t forget anything and keep everything organized. Want more? 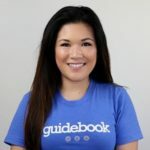 Help yourself out and join thousands of planners like you by downloading Guidebook’s free 70-page ebook of professional event planning tips. You’ll find questions for event venues and sponsors, tips for building lasting relationships with vendors and partners, real-life stories from planners, step-by step marketing plans and more.